Do you ever feel like cleaning is time consuming, boring, and it takes up way too much of our day? Well it doesn’t have to be hard. There are hacks and tips out there to help make cleaning a lot easier so you can free up time to enjoy other things in life. 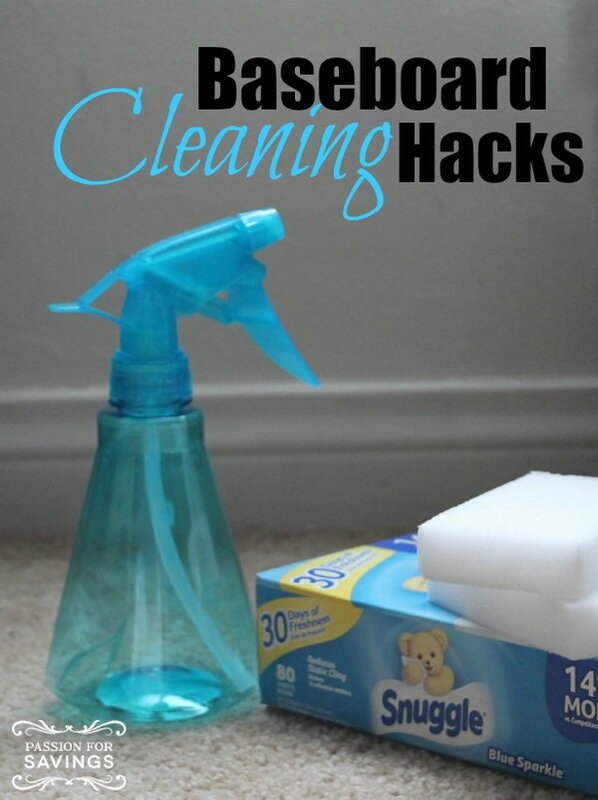 Check out these awesome cleaning hacks that will save you time and help you avoid getting annoyed. How to Remove Scratches From Dishes? Still struggling with the tips to remove annoying dark scratches from dishes? Here is a creative and life saving hack for your inspiration: Bar Keepers Friend from Amazon. See more cleaning directions via One Good Thing by Jillee. Get more details via onecrazyhouse. How to Wash and Whiten Yellowed Pillows? 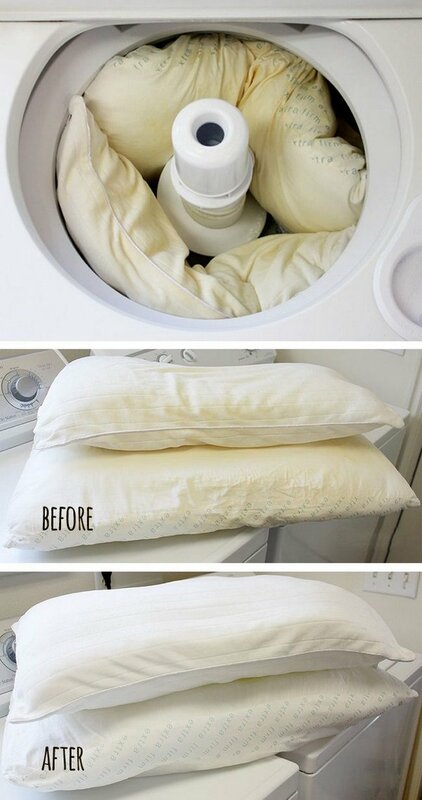 Here is an easy tutorial shows you how to wash pillows in your washing machine! And they come out bright white like they’re brand new again! It really does work and you are worthy a try! Tutorial via One Good Thing by Jillee. 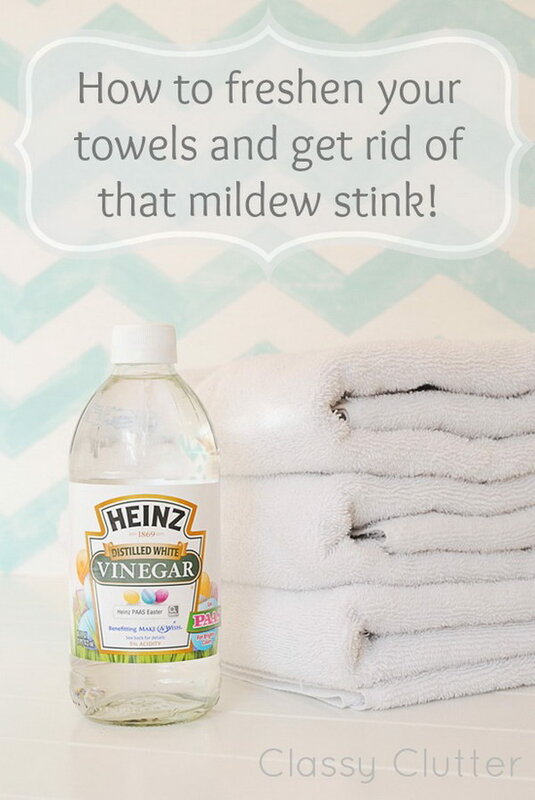 How to Freshen Your Towels and Get Rid of That Mildew Stink. Tutorial via Classy Clutter. Cleaning Oil Stains on Your Driveway. I am so happy to meet this cleaning product, Pour-N-Restore from Amazon, the oil stain remover that starts out as a liquid and dries into a powder! It is very easy to use. Just spary some on the oil stains and sweep it up when it’s dry! More instructions via instructables. How To Clean Your Mattress? Here is an amazing way to clean your mattress and protect it against micro-organisms in future. Get the instructions via malinino.weebly. How to Remove Water Stain Circles from Wood Furniture? 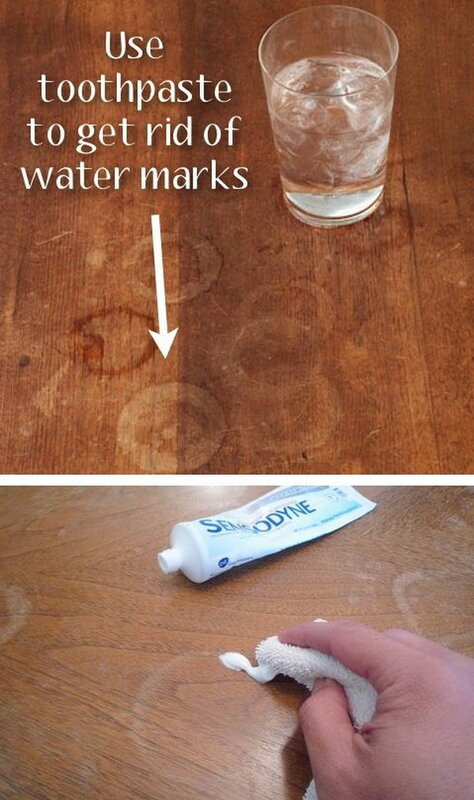 White toothpaste works out well to get rid of the water marks left behind on wood furniture. See the full directions from Charles and Hudson. How to Deep Clean your Washing Machine. Washing machine needs cleaning regually. Here we are sharing a great tutorial on how to clean your washing machine to improve efficiency, get rid of mold and mildew. Full instructions via clean and scentsible. A super easy and natural way to get rid of the disgusting hard water stains in your your tub or glass shower doors. This simple Epsom salt scrub works well. See the directions via Cleaning Tips 101. 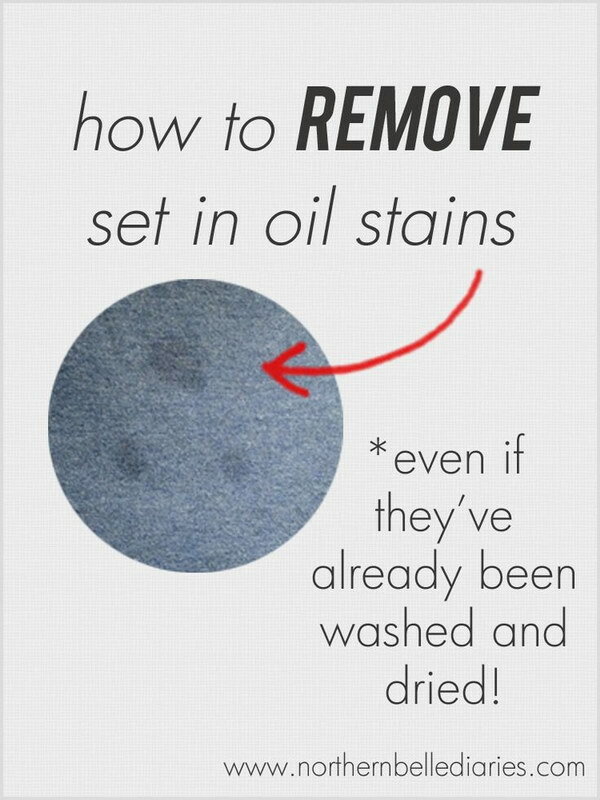 Still annoying with the oil or grease stains on your clothes? Here is an ingenious way that can make things easier. Check out the tutorial and details via Northern Belle Diaries. Just one ingredient will deep clean your microfiber couch and practically make it look brand new after a good scrub. 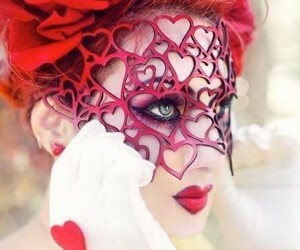 See the tutorial via 551 east design.blogspot. Here are a list of genius and life saving cleaning hacks that make clean baseboards a little easier. Check out details via passion for savings. 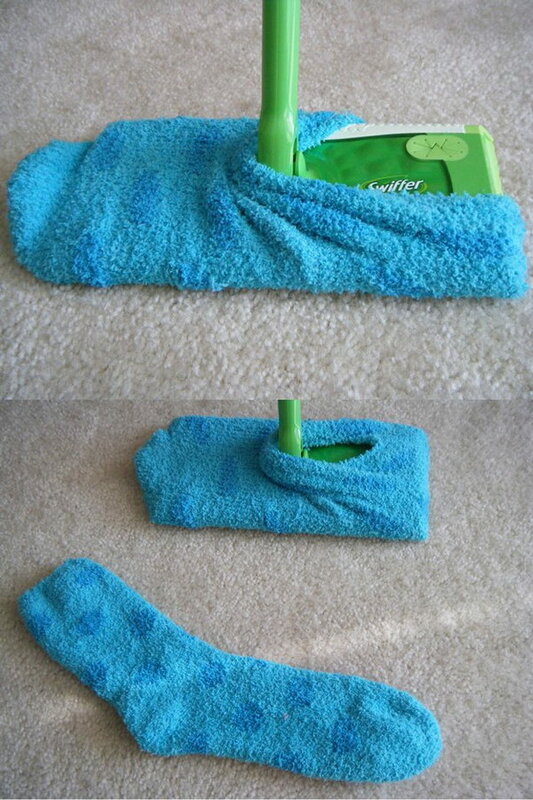 Instead of buying those expensive swiffer replacement pads, you can use a pair of old socks. See the details via An English Accent. 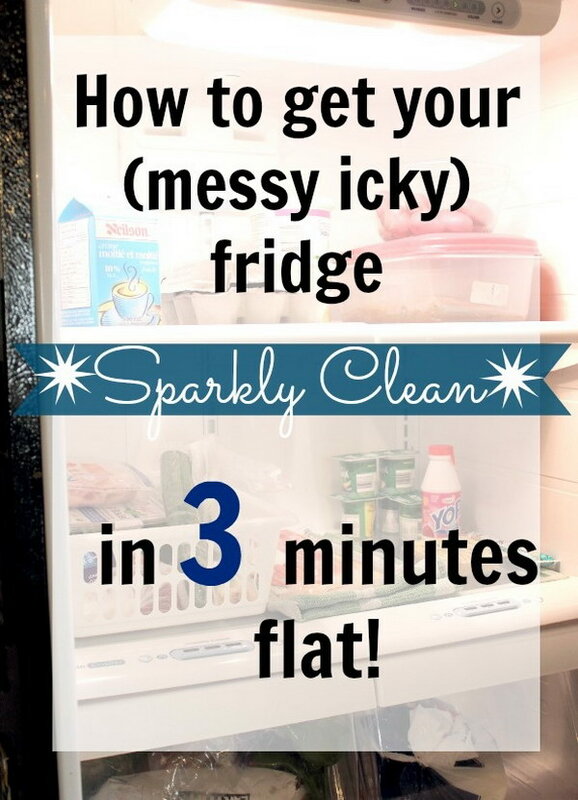 How to get your messy and icky fridge sparkly clean in 3 minutes flat! Get your fridge sparkling clean with this amazing cleaning hack. Tutorial via Creek Line House. 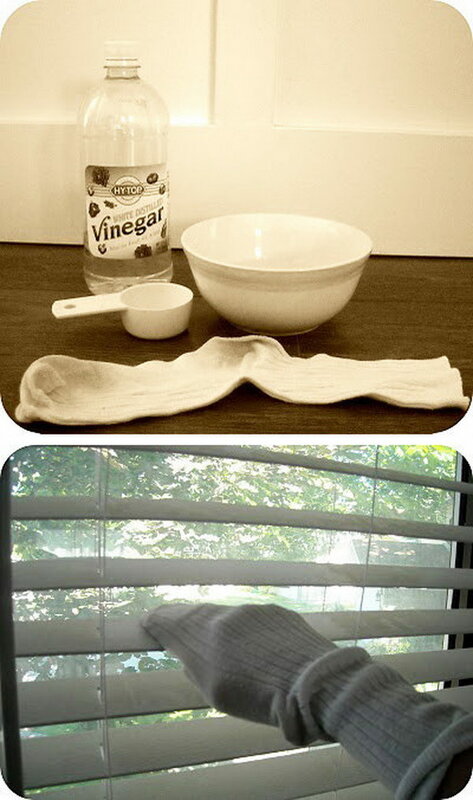 Clean blinds with an old pair of sock! 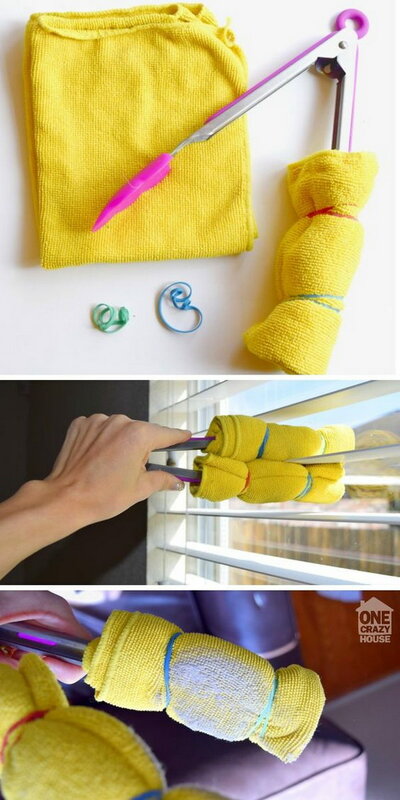 Super easy and creative way for spring cleaning. See the details via Keep Home Simple. 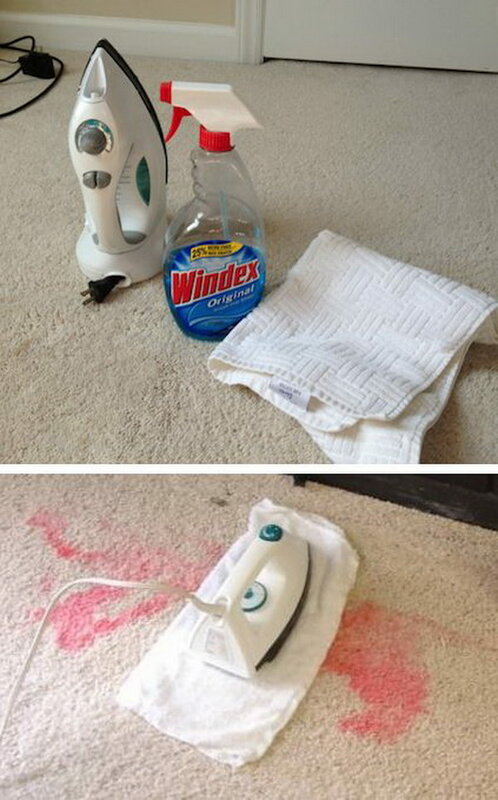 A creative and easy way to iron out carpet stains. It must be on your wish list for household cleaning. 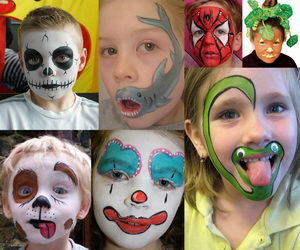 Check out the tutorial via pintester. 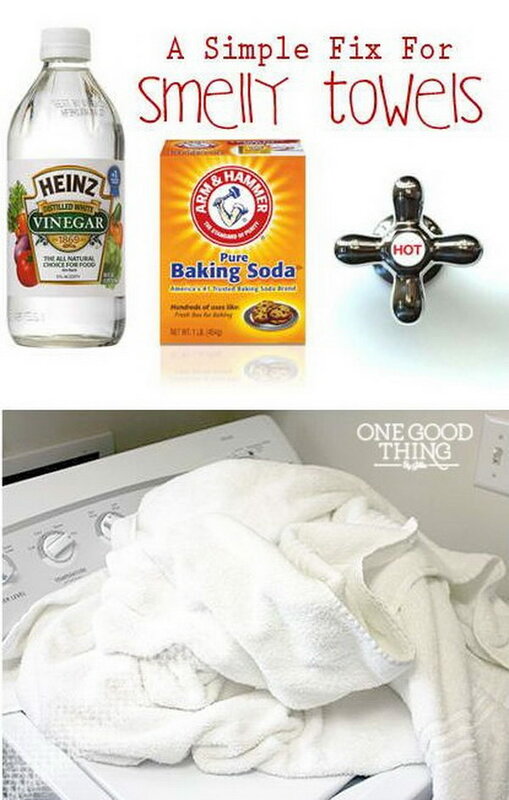 Here is a simple fix to make your smelly towels new! Check out the details via One Good Thing by Jillee. The magic natural ingredients are used to get a shiny and sparkle sink in any kitchen. See the details via Creek Line House. Don’t overlook to clean your washing machine. 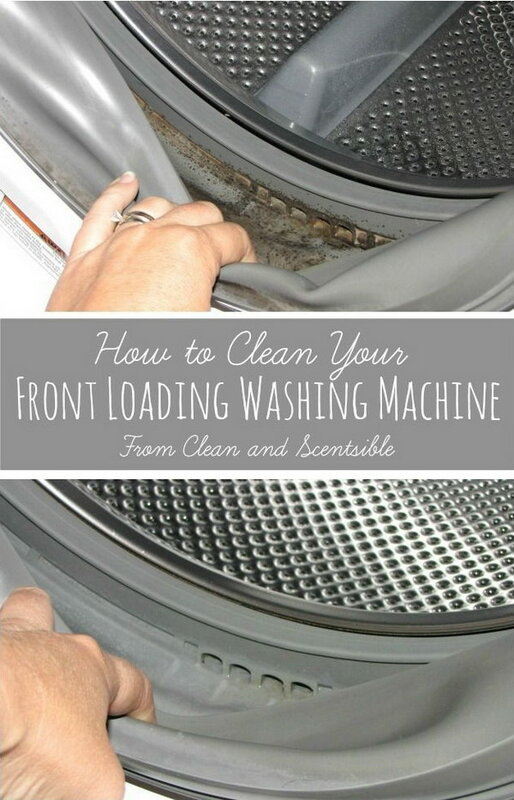 Click to see how to clean a top loading washing machine with vinegar and bleach via Practically Functional. 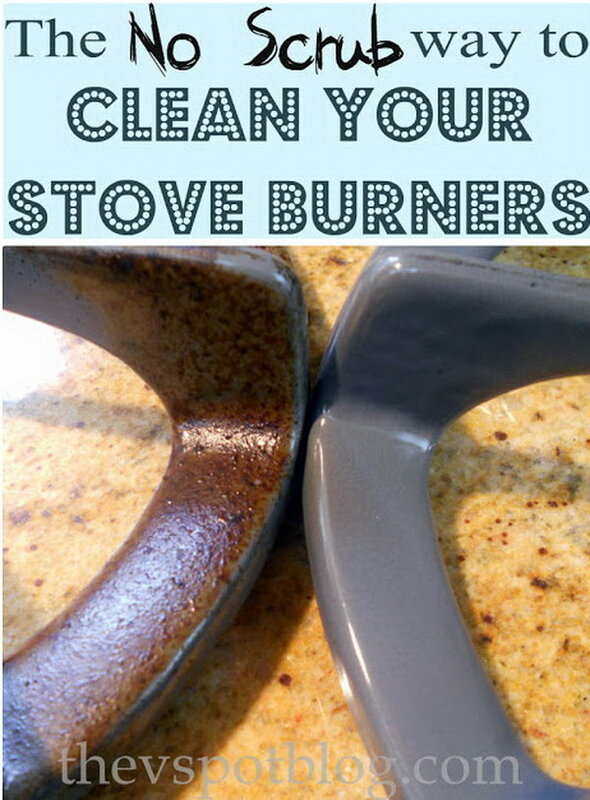 NO SCRUB Way to Clean Your Stove Burners. 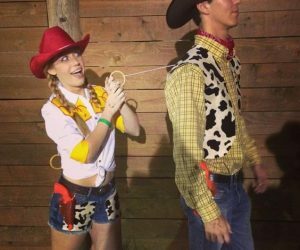 Tutorial via The V Spot Blog. Refresh Your Commode With DIY Toilet Fizzies. 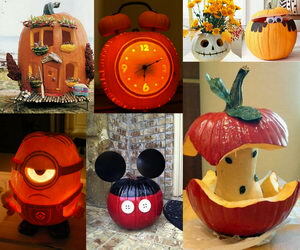 See the tutorial via popsugar. Those tips are amazing! I can’t even wait to try them out. Every cleaning trick you shared is extremely helpful and useful for me. Thanks a lot! !